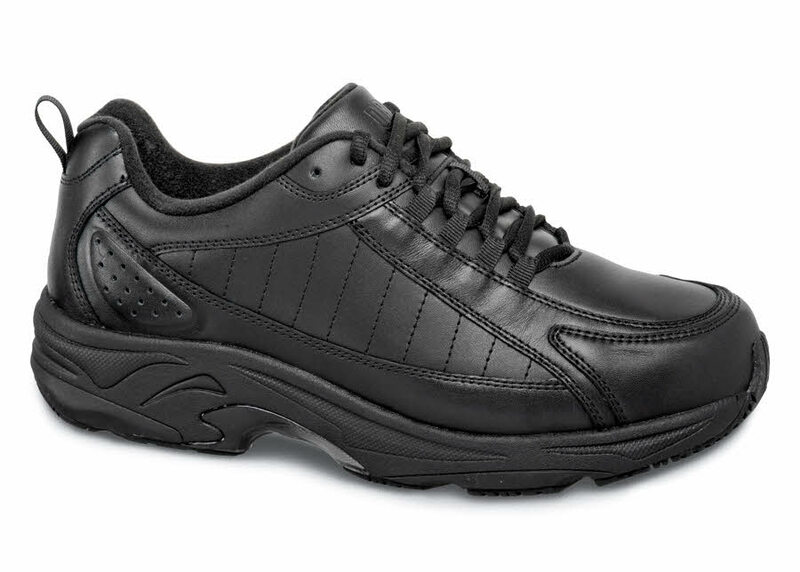 Drew gives you double added depth in their black 'Voyager' walker, a highly supportive shoe built with the Plus Fitting System of double added depth and dual removable footbeds. Sweat-controlling Dri-Lex® linings, foam-padded tongue and collar. 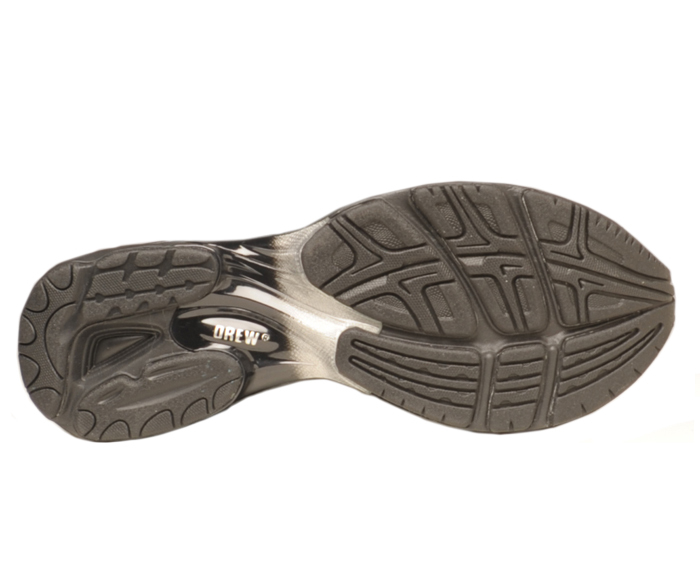 Firm heel counters, dual shank system and a longwearing rubber outsole. Men's sizes 7–13, 14, 15 and 16 in 4E and 6E widths.